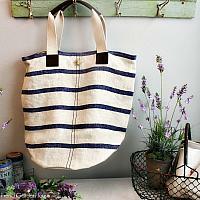 Reminiscent of the famous French Brittany stripes, these linen tote bags are just about perfect. 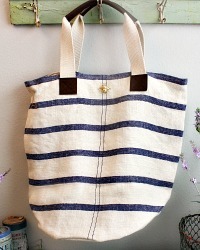 Made of heavy enzyme washed linen for a vintage look and feel, with leather details on the straps, and useful inside pockets. 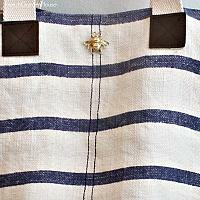 Handcrafted, so there may be some slight variation in color, texture and weave. 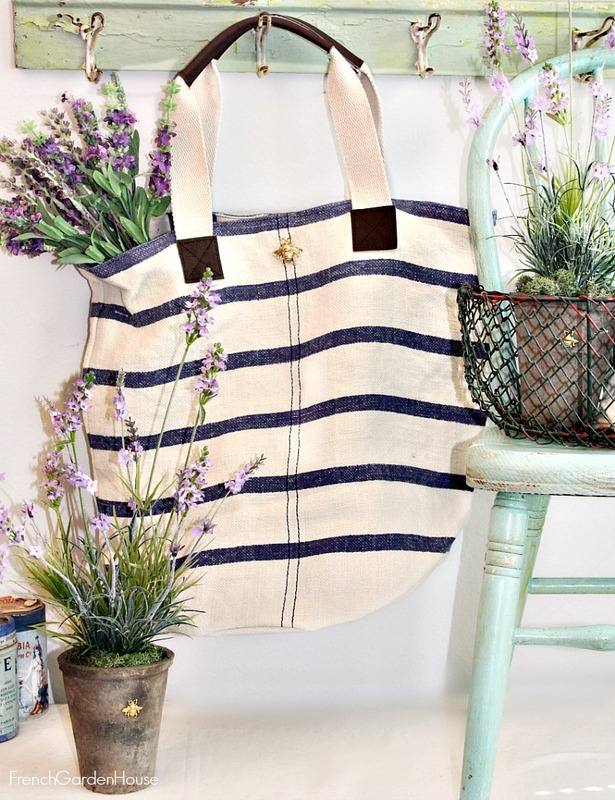 Shop the flea markets of Provence, or take this with you for a day on a friend's boat, or to your yoga class. 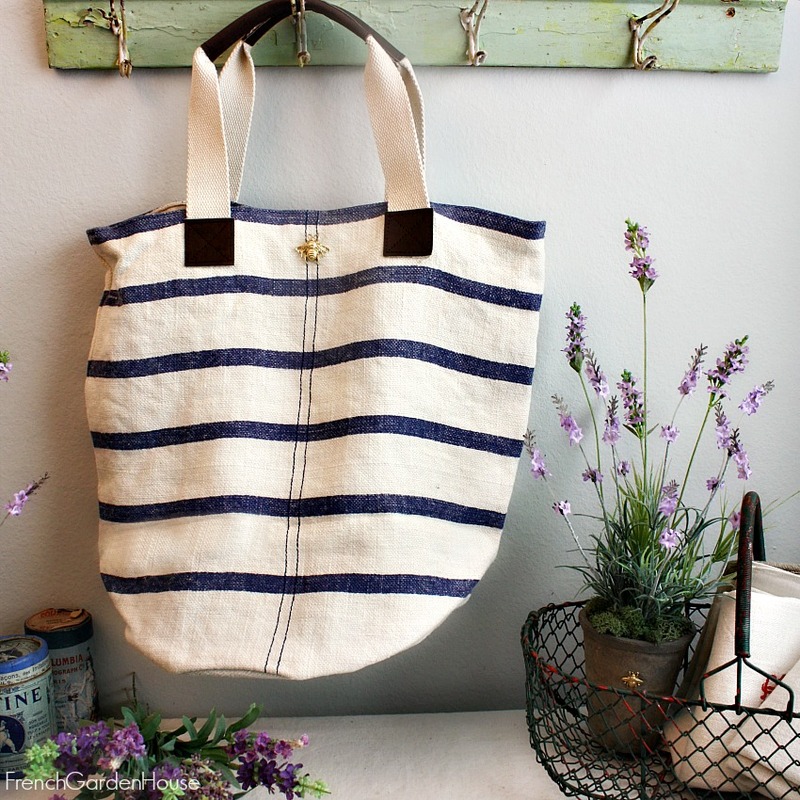 No matter where you go, this bag is stylish and amazingly roomy. Fully lined. Embellished with our signature decorate gold bee. We love bees! Measures 15-1/2 x 5-1/4" x 19".